So many things this weekend guys, SO many things. 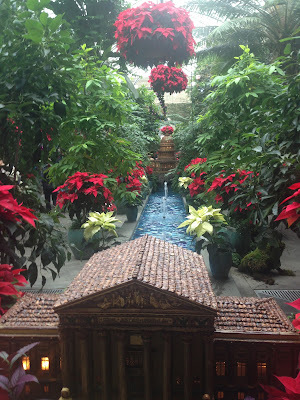 Saturday morning I talked SpeedyKate into seeing the Christmas trains at the U.S. Botanical Gardens. This was one of those situations where she definitely thought I was a little bit weird/crazy/nerdy (I think trains are so cool!) 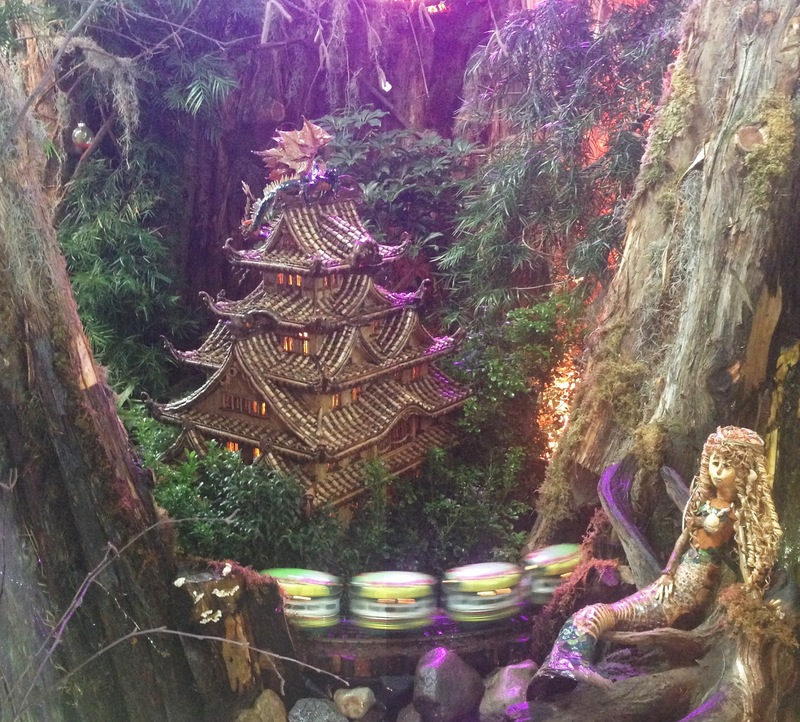 until she saw for herself how awesome the exhibit is. 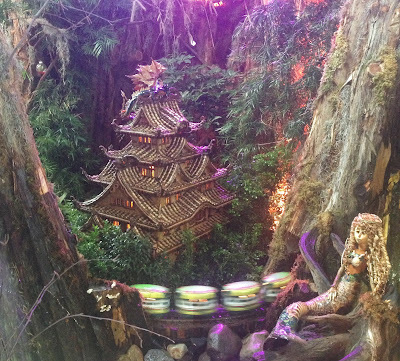 It’s an entire world, constructed out of all organic materials, except for the many many toy trains running through it. 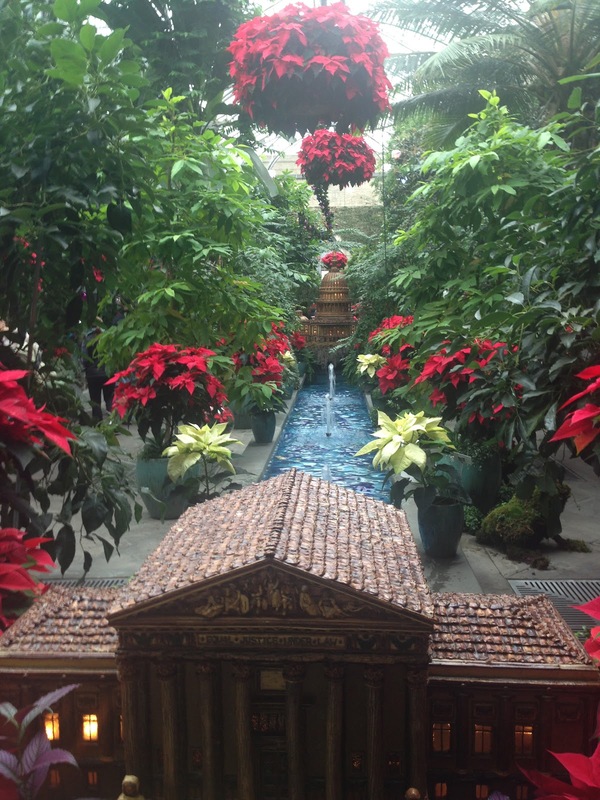 The Garden is staying open late (until 8 pm) through December, plus there’s a schedule of live music on Tuesdays and Thursdays. If you haven’t been – GO. That afternoon I hit up the Rumsey pool for a pool-run, which for some reason is waaaaay more boring in the afternoon than in the morning. Toward the end the lifeguards put on some Mariah Carey though, so ultimately it was ok. I've been involuntarily sentenced to quite a bit of pool-time recently, but hopefully I'm back on land soon! Saturday evening I had Christmas party #1 to attend and needed to make something to bring. 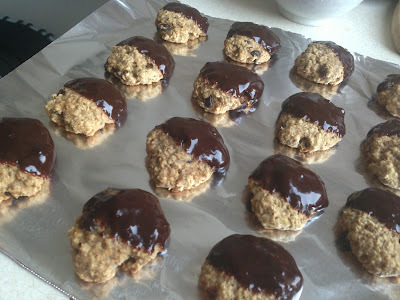 Being too lazy to trek to a store, I surveyed my fridge and cupboards: oatmeal cookie dough in the freezer…heavy cream…chocolate chips…there is only one way that can go: oatmeal cookies dipped in chocolate ganache. Easy, fancy-looking, and yummmmm. Sunday morning I met LLC and her boyfriend to use a brunch deal I purchased a while back. It was to Kushi, a Japanese izakaya (bar with food) and sushi restaurant. Japanese brunch? you may wonder. Agreed. It was definitely not brunch food, but it was delicious! 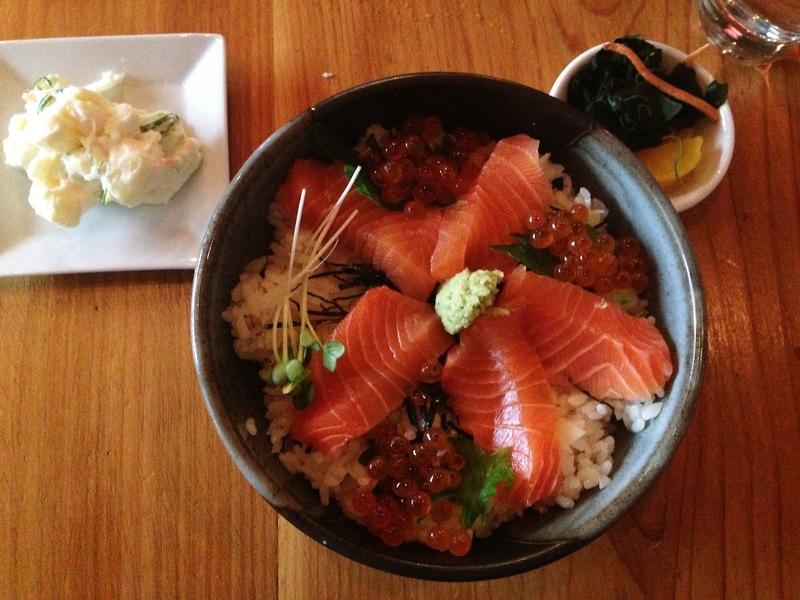 I got “Ocean's Oyako Don,” which is a bowl of sushi rice with salmon and roe and wasabi. I LOVE wasabi. Just a note, in case you ever feel the urge to sushi brunch it up in DC: coffee is not on the menu, but they do have it (hallelujah!) – just ask. Sunday afternoon I went on a little run and a misty rainy bike ride (the Southwest Waterfront smells exponentially better in the winter than in the summer! ), and then headed to Christmas Party #2. This was technically an Ugly Sweater Party. At one point I did own an amazing ugly sweater, but alas I think I left it in Boston. So I wore what I like to think of as a cute Christmas sweater, brought some of the ganache cookies, and enjoyed some early evening eggnog and chocolate.